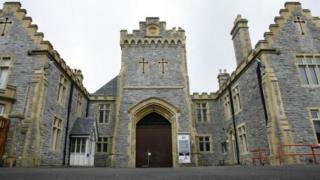 A £49m plan to develop a disused Victorian prison into 267 flats has been approved by councillors. The site of the former Kingston Prison in Milton Road, Portsmouth, will also see a shop and restaurant being built. The plans include 347 parking spaces, and 183 of the new flats will be classified as affordable homes. Work is expected to start in the summer. An opposition councillor cited concerns that there is currently no provision for social housing. The Ministry of Justice sold the prison in 2014 after it was closed in 2013 to cut costs. Portsmouth City Council set as an essential requirement that affordable homes must be built at the site. Vivid Homes, a provider of affordable homes, has joined developers City and Country in the project. Addressing the council's planning meeting on Wednesday, Donna Jones, leader of the opposition Conservative group, said: "This is a large-scale planning application, one of the largest we have got at the moment, with no requirement for social housing at all. "There's an application to Homes England from Vivid and City and Country, but if that application for social housing falls through, we are effectively granting permission for 267 private dwellings." Speaking after the meeting, Richard Winsborough, director of planning at developers City and Country, said: "We are delighted that Portsmouth City Council has taken the decision to grant the planning permission. "This allows us to take the next important step in breathing life back into this historic building. "We're looking forward to working with Vivid Homes who will be delivering a large proportion of this site as affordable housing."